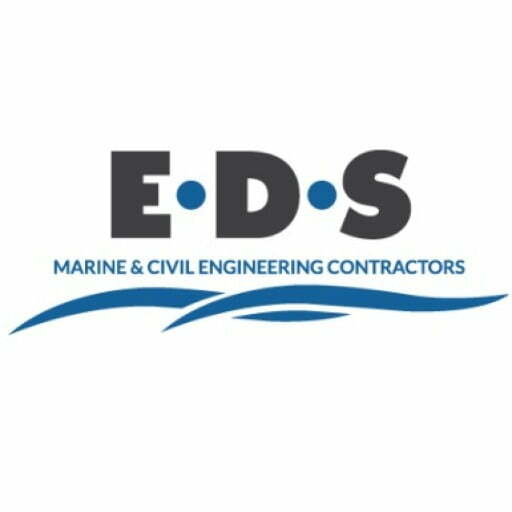 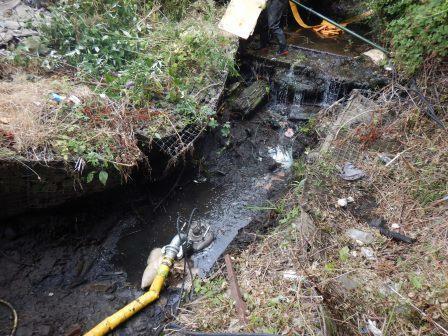 Edwards Diving Services Ltd were selected by Caerphilly County Borough council to inspect damage to a stream banking backing onto resident’s gardens and a local school, as the site had become unsafe, and due to restricting water flows, posed a potential flood risk to local residents and the neighbouring comprehensive school. 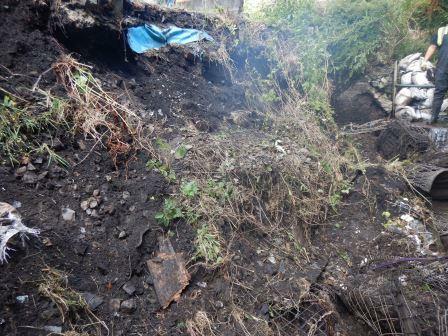 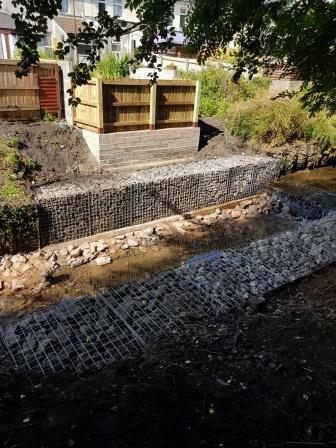 The previous gabion baskets had collapsed, dragging earth from resident’s gardens making the banks unstable and unsafe, as well as obstructing the stream flow. 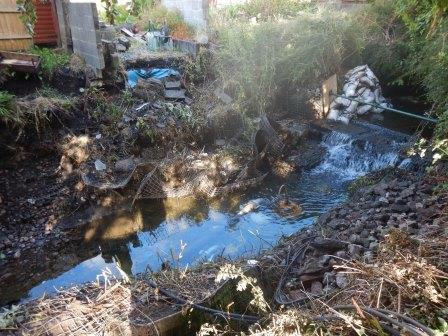 Not only did this present a flooding risk but the obstruction would effect the migration of spawning freshwater fish. 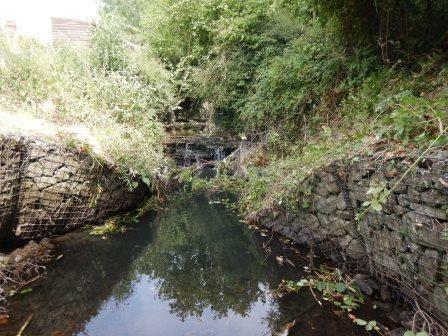 Access to the area was extremely limited within the narrow steep stream bed, which severely restricted the options for the use of plant and machinery, and hence presented a challenging refurbishment methodology. 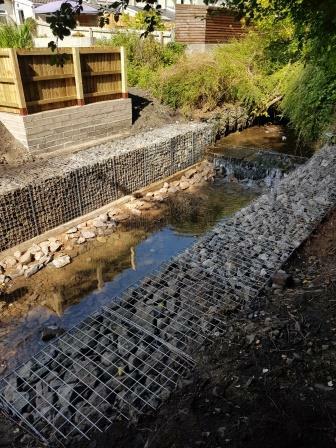 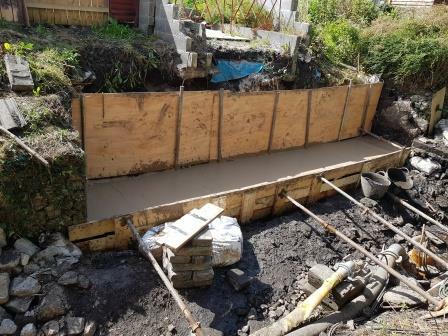 The works involved the excavation of 20m3 failed gabion baskets below the stream bed, formation of a concrete foundation and construction of new gabion baskets. 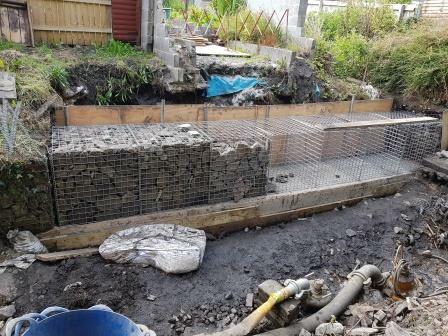 Build a dwarf wall and fence the resident’s gardens to restore stability and sustainable safe use. 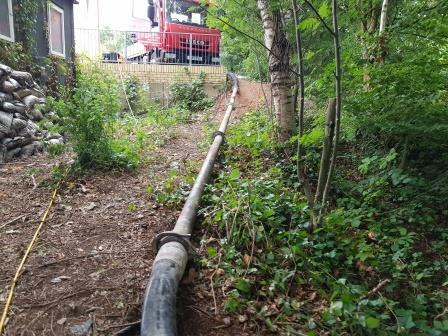 As the site was near to a local school the work needed to be carried out over the month of August outside the school term to minimise disruption. 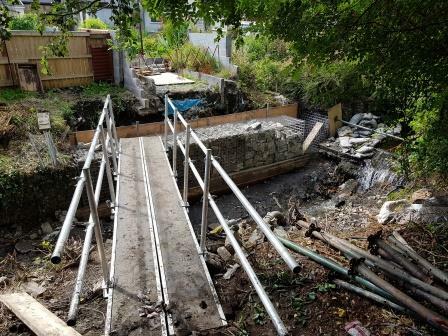 The team were limited to the six week school holiday to manually remove the collapsing baskets, dig out new foundations and place and re-fill the new gabions. 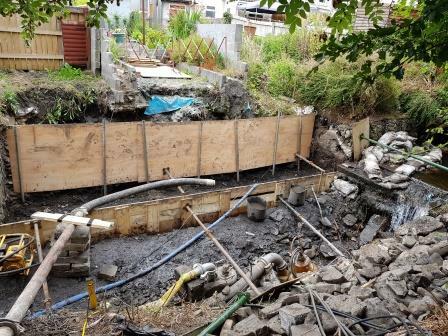 This challenging work was successfully completely to time, and the client were delighted with the work.